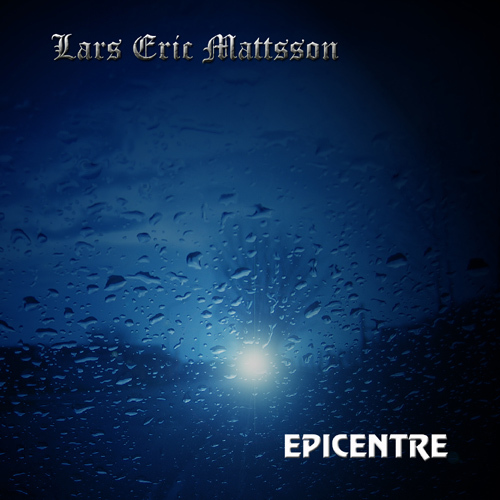 Marking the 23rd album of his career, Lars Eric Mattsson returns with 18 new compositions on his most personal album to date entitled ‘Epicentre’ and due for release on 20 September 2013 via Lion Music. ‘Epicentre’ shows where Lars Eric Mattsson is in 2013. With a vast repertoire of music under his belt, whether under his own name, Mattsson, Book Of Reflections, Vision, Condition Red or Astral Groove, this new release sees Lars handle almost every aspect himself with the exception of drums by Christer Jansson. On the new material Lars comments, "There are 18 tracks on this album, a few more than one might expect but I felt like it could not have been any shorter. Musically the album would not have been complete with fewer tracks as I wanted to paint a full picture of who I am and where I am today. I am also singing myself rather than working with someone else. During the writing process I think I came to find my own voice and felt that it was time for me to develop this to its fullest and here I am, a reborn veteran! It took about a year to finish this album and if this will be my last recording ever I would be happy with that. I have put all of my heart and soul into this album which I believe should be seen as an entity, just choosing one song is not going to be very representative as they are all different, yet all have what I guess is now considered a signature sound". Contained within are songs that long-term Mattsson fans will be used to such, as the driving intricate time signatures of opener "Wait for the Sunrise" or the instrumental "Freedom Fighters" which Mattsson describes as "Perhaps the most intense track. I really don’t expect to ever hear this one performed by a cover band (laughs) A full 7/8 time prog metal attack with some cool bass/guitar tapping interplay", yet new textures are served in the likes of the driven "Cinnamon" which fuses acoustic guitar with electric sitar and "Andalucía" which mixes acoustic guitar and violin in a jazz fusion setting. More traditional metal waters are visited (with the expected Mattsson twists) for "A New Devil" and "No More War" whilst "No One Else" harks back to Mattsson 1980’s works (albeit updated with 7 string guitar) and 70’s hard rock is the influence behind "No Way, No Surrender". Yet perhaps one of the biggest aspects of change between this and preview releases is Mattsson’s decision to take on lead vocal duties as well, "I tried singing on a few rare spots in the past but to be honest I didn’t really find my voice until I was halfway though this album, which made me start all over once I got the hang of things". Another notable change is more streamlined songs "I decided early on that I should try to make shorter songs and cut out as much as I could and see how that would come across. I think this makes the tracks more direct and perhaps easier to listen to than some of my past ultra-intensive tracks". LARS ERIC MATTSSON - EPICENTRE SEES DIGITAL RELEASE VIA LION MUSIC ON 20 SEPTEMBER 2013. This song is about the feelings one may have on the eve of a huge disaster when it’s yet too soon to estimate the damage. This is perhaps the most progressive track on the album. The rhythm is atlernating between 7/8 and 6/8 and there are a few very challenging passages. 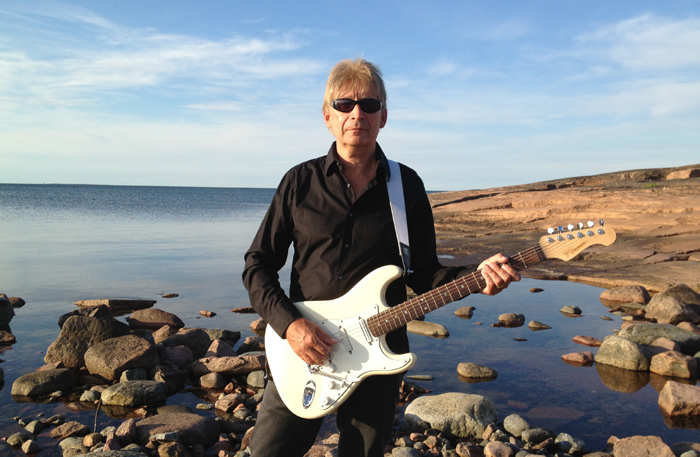 I played the Boel MC 7-string and my custom modded Stratocaster, as well as a detuned 1974 Rickenbacker bass. This song is about a very hot but also very bad woman. Lyrically I would say that this is almost like a modern version of the blues. On this song I played my modded Stratocaster and the 1974 Rickerbacker bass as well as an old acoustic and a Fender Dobro. One of the first songs I wrote for this album, a song about love lost. I had a very different arrangement is mind originally but decided that keeping it simple was the best. I am playing an old acoustic guitar as well as the Fender Dobro, a 1967 Coral Electric Sitar and the Rickenbacker bass again. The whole song is in 5/4. This is the first song I did for this album. I was not even sure I was gonna do a full album at the time, I just wanted to try out some new ideas. This song is very short (under 3 minutes) but there are quite a few different things going on here. I am playing a few acoustics, the Coral Electric Sitar, the Boel 7-string, a Fender strat and a 12 string Rickenbacker clone. And the detuned 1974 Rickenbacker bass… There are no keyboards on this one. A simple ballad with a lyric inspired by love and desire. A short bass solo in the middle of the song that is more of a melody thing than a ”show off”. All guitar parts were done with the Strat. I am using a Roger Mayer distortion pedal on the solo. This is the last song I did for the album, I felt there was something missing to the mix of songs even though the album was difinitely not too short without this one. This song is in the style of what I did way back in the 80-ies, except that I am now playong a 7-string. There are also the Strat and the 12 string on this one and a very dominant organ part. The album’s first instrumental. The lead guitar was done with my old Valley Arts Custom Pro and as you can hear it was recorded quite loud, the guitar is on the verge of total feedback all the time. The rhythm guitar on the other hand was done with the Strat. A song about staying true to yourself in a world full of liars. The Strat and a Bass Maniac fretless bass. A 70-ies flavoured boogie with an 80-ies update. A song about someone who is changing her ways all the time, just to fit in. I was not sure I would keep the vocals I did on this album until I started working on this one but at one point I simply felt I had to do sing these songs by myself or the feeling would totally go away. I also slowly started to find my own voice by working on this song. It’s not perfect but I would not want to have it any other way. the album’s second instrumental and perhaps the most intense track. I really don’t expect to ever hear this one performed by a cover bandJ A full 7/8 prog metal attack with some cool bass/guitar tapping interplay. Dedicated to the people fighting for democracy and freedom around the globe. A not to be taken too seriously jazz influenced shuffle. I did the rhythm track with a Telecaster and the wah wah stuff on my modded Strat. The bass was done with the Fretless Bass Maniac. The album’s final intrumental and something I have not really done before: a bit of jazz fusion with acoustic guitar and violin. Inspired by the beautiful south of Spain which I love. I wrote it with the electric guitar in mind, but decided to try it on an acoustic instead and I am glad I did. Lots of different things going on in this track which is about making a change in your life and leaving the past behind you. Quite a few guitar tracks on this one, the Boel 7-string, Valley Arts Custom Pro and a Strat. Rickenbacker bass again. Well you can say whatever you want about the blues but this is the music I started with and it will probably never go away. This music is all about not trying to do too much and certainly not to show off, just keep things simple. Fender Strat and Rickenbacker bass. This short closing jazz ballad is really very simple, one rhythm guitar: a Fender Telecaster, a Fretless bass and one vocal track plus the ending solo which I payed on a Fender Stratocaster. Lars Eric Mattsson - All vocals, guitars, bass & keyboards. Christer Jansson - Drums and percussion. Recorded and mixed at the New Lion’s Cage between August 2012 and July 2013.